The middle of the night tries to rob my peace! Can’t sleep again, worrying again, uncomfortable again. I am thankful for technology and the fact that I can listen to a Christ-centered message at 2am that can re frame my perspective and in the midst of long quiet nights of learning, prayer and reflection time, I can feel wrapped in peace. I know that my anxious nights creep in when I allow my tendencies to want full “life” control, when I believe my ways are better than God’ ways, and when I fix my eyes/mind on fear over faith. As Pastor Craig Groeshel outlined in the video message below, we all want (and take) control in some capacity whether it be something small or something as big as life’s timeline. My graduate school professor, advisor, and mentor, Dr. C.D. Rudebock, has been teaching and reminding me to pause and be still since the day I met her. Even though I have prayerfully worked on this as I’ve grown into myself as a daughter, wife, student, professional, sibling, and mother I realized how often I’ve pushed others away as I’ve acted blindly in the buzz of wanting to control something. At the very least, I am so thankful that since May’s diagnosis it is somewhat easier for me to pause when it matters most so I can make quicker adjustments. I [try to] draw on that daily and it seems to allow the desire for control to drift away. I don’t want to give up control, but I am open to the idea that there is one safe place to put it and that is with our God. I have sugar coated stage 4 cancer for almost three months now. I’m tired and some crazy, powerful questioning has caught up. Most days, I am nauseous 75+% of the day regardless of what I eat, drink, or mix up (medicine combos). My tummy even wakes me up at night, it will be so bad. I also have extreme pain still in my right leg that comes and goes when nerves feel like firing. Because of where radiation was conducted in my lower pelvis, my digestive system is also struggling in a multitude of ways I never knew existed. It’s not fun, or easy. I sweat a lot, get chills a lot, shake a lot. I trip easily because my leg is numb and sometimes I randomly feel so tired I could sleep until Christmas. I scare myself in the mirror because I hardly recognize my reflection and I take out my frustrations on my husband who has been nothing but hard working to pick up where I can’t be with our family day to day functions. Sometimes I feel like I am in a giant nasty ugly storm. I definitely feel guilty every time someone says I am inspiring and strong because I feel like I hide behind positive words and photos more often than not. On the flip side, I’ve been brought up to believe in the power of attraction and I’ve grown into my faith in God and my relationship with Christ so much that I am confident in our declarations and prayers and believe that this storm will pass when and how it is meant to. All in all, finding balance is easier said then done. I want to do what I’m being called to do and I want to do it well. But it’s hard. I admit that I question why my family and I are in this storm. I remember my radiation therapist telling me side effects usually last about two months post treatment and I question why? My red blood counts switched with the white and are now low along with ther weird little pieces of medical blood hoopla- why? Then there’s the fun fact that my doctor said the average patient stops responding positively to my pill Tarceva after about one year meaning cancer starts to come back aggressively after successes in management the first year. You bet I’ve questioned WHY. 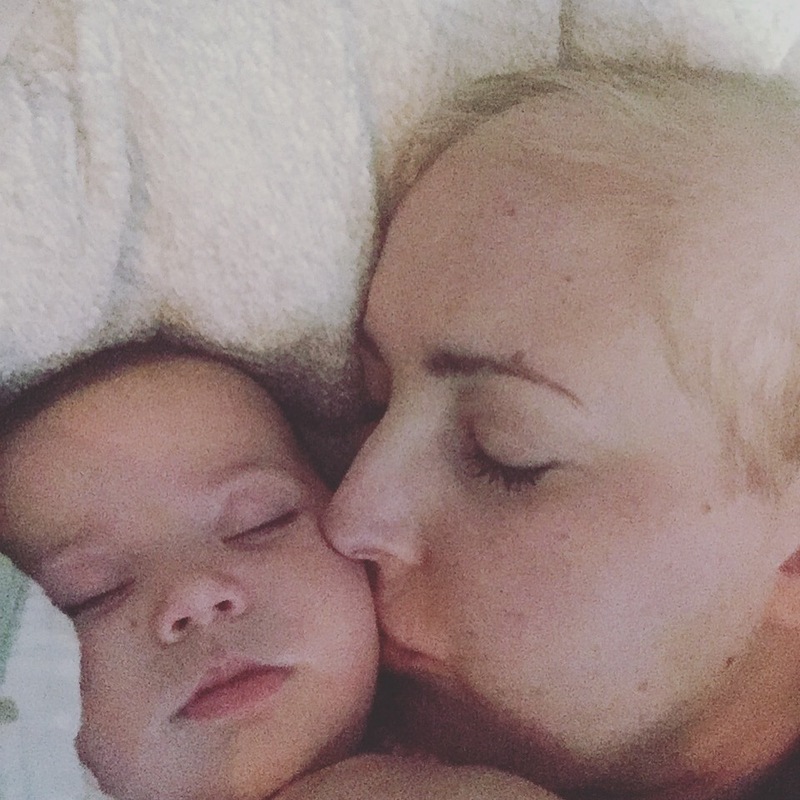 I am constantly humbled by other cancer patients’ stories that keep them from much more than I am kept from and like I’ve said before I cannot fathom experiencing this type of journey if my sweet children had any health trial, but sometimes I just want to sit and cry and ask (or beg) the storm to pass. If not for me, for my baby girl who needs her mommy until the year 2090. I want her to always remember the strong me. So- as my mom would tell me, swords up! The strength to fight will come from within, where Christ within me takes over 100% because on my own I have very little. 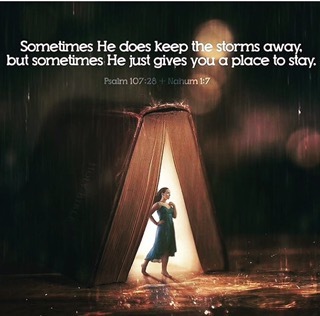 Storms always pass anyway, right!